For me, it happens pretty often and worries me not at all; in fact, it warms my heart. It gives me real hope. And I find it genuinely encouraging to know that I’ll one day join them. In our small town, it’s not that unusual for me, a pastor here for almost 34 years, to do a “double-take” at a restaurant or store as I think I see a particular person, only to realize that I attended or officiated at their funeral. Oops! A resemblance. A mistaken identity. But no mistake: I miss them. Most often, it happens at church. As I stand in the pulpit, look out into the sanctuary, and glance across the faces of worshipers I love, it’s not uncommon for my mind’s eye to “see” among them faces of many dear loved ones and friends, members of our little flock and God’s much larger kingdom, who have gone on to be with our Father. No, it doesn’t bother me; quite the opposite. Yes, for over three decades I’ve loved and worshiped with this little part of God’s much larger family. Not large, we’re “mega” only in love. Come to think of it, our little bunch may be a lot like Christ’s church universal in that we have more members who have gone on to be with the Lord than we have members who are presently breathing this earth’s air. They’ve died. “Most people have, you know,” C. S. Lewis, once wrote. Died, that is. Humans who are presently living are in the minority compared to humans who have already passed on. 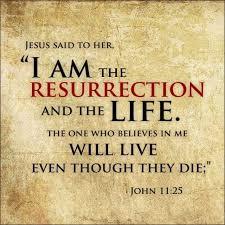 And surely that’s also true of God’s people of faith, of whom Jesus said, “Whoever believes in me will live, even though he dies” (John 11:25). So, if loving God’s people means to live life with them, walk with them, weep with them, laugh with them, believe with them, and share genuine hope with them for life eternal—why should that hope do anything but come closer to full-flower when they go on to be with the Lord? “Treasure in heaven.” Jesus once said that sort of lasting treasure is the only kind worth “storing up.” I’m not the first to mention that, the older we get, the more precious that treasure in heaven becomes because our most valuable treasures there have faces. I spoke recently with two friends who are also pastors, faithful workers who have served God’s people in the same local churches for decades. Their experience is the same as mine. They see dead people, too. They look out into the pews, thankful for those who are there, but so very thankful also for those who have gone on but whose influence is still here and who worship now in the presence of the Lord. We worship. They worship. One eternal day believers will all worship together. One day we’ll close our eyes and wake to find that we’re finally as fully alive as those who’ve gone before us, and our time in the shadows is over. This entry was posted on Monday, March 18th, 2019 at 10:03 am	and tagged with belief, Christ, church triumphant, Faith, hope, life, life eternal, love, resurrection and posted in Uncategorized. You can follow any responses to this entry through the RSS 2.0 feed.